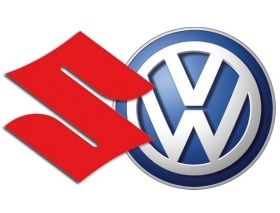 Volkswagen AG said it no longer classifies Suzuki Motor Corp. as an "associate," retracting wording that set off the downward spiral in the tie-up between the companies. VW enraged Suzuki by saying in its annual report in March that it could "significantly influence financial and operating policy decisions" at Suzuki. "The opportunity to exert notable influence upon Suzuki is, for the time being, no longer available," Volkswagen said on Thursday, adding that it now lists Suzuki under "other holdings." In response to the news, Suzuki Italia President Junya Kumataki reiterated what the parent company has said of late. "Suzuki decided to divorce from VW and we have nothing more to add," Kumataki told Automotive News Europe at press event Thursday. VW's partnership with Suzuki has deadlocked in recent months, with the Japanese manufacturer urging VW to sell back its 19.9 percent stake. VW has dismissed Suzuki accusations that it violated a cooperation accord by not sharing technology, and repeatedly said it plans to keep the holding.